Photograph of a Royal Navy Sea Harriers from 801 Sqn. 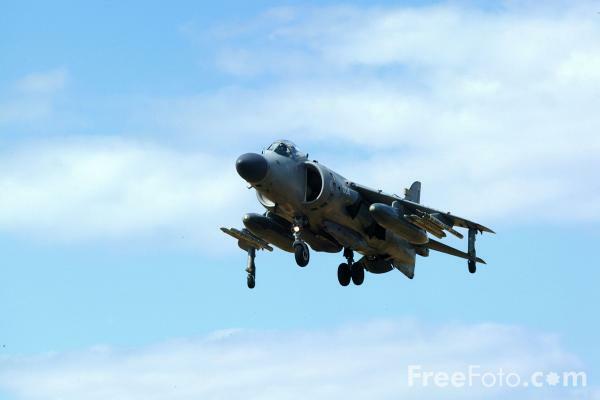 The Sea Harrier FA2 is a combat proven, single seat, single engine, subsonic jet with the full range of modern weapons and advanced fighter capability. VIEW: More images from the category Harrier or around the same time .